Items from the estate of Norma Godwin of Panama City, Florida – collections and quality items gathered over the course of several generations by Mrs. Godwin, her husband and her parents – will be the main attraction at a live and internet estates auction scheduled for Saturday, October 28th, by The Specialists of the South, Inc., online and at the firm’s Panama City gallery. 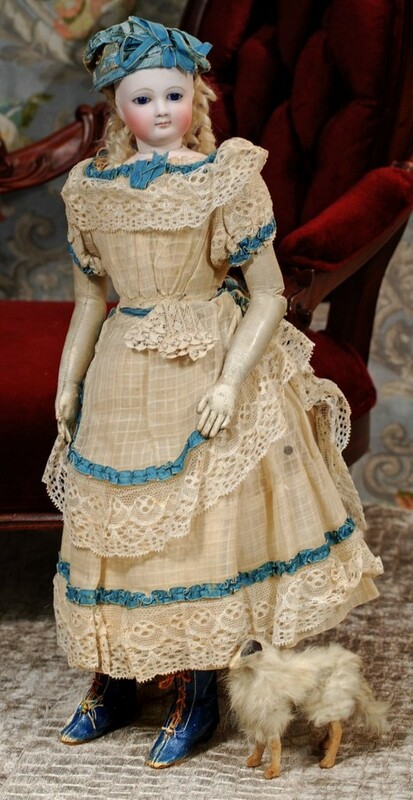 Many of the items previously belonged to Norma’s parents. Nicholas, her father, was born in Italy in 1898 and arrived in the U.S. in 1916. He was an architectural sculptor who had an artistic eye and impeccable taste. He loved browsing antique shops. 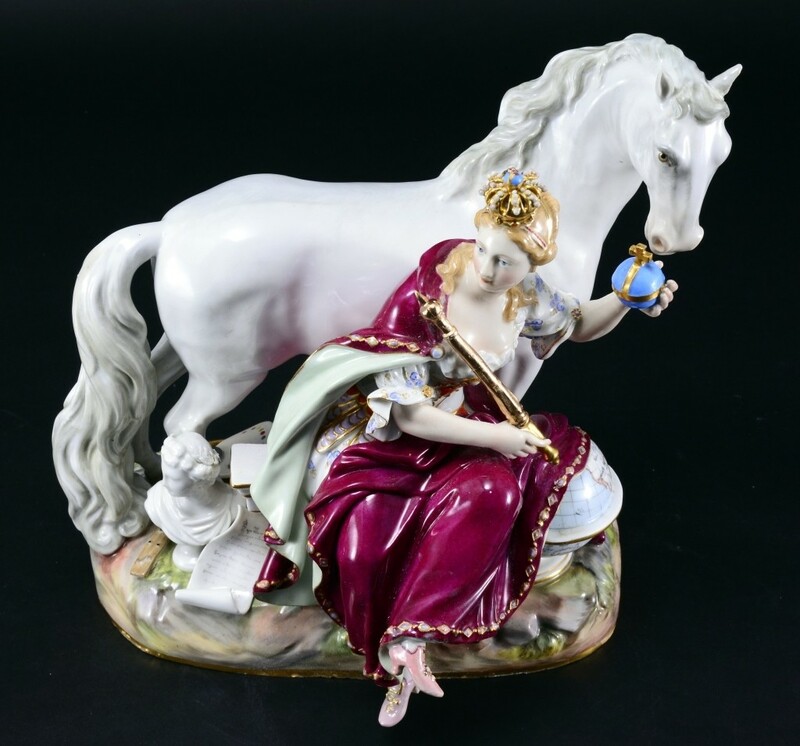 Bidders will be treated to a broad and eclectic mix of merchandise, to include lighted ceramic Harlequin sculptures by Otello Roso for San Polo, European and Victorian furniture, classical and modern artwork, Capodimonte porcelain pieces, Meissen figurines, fine mid-century linens (mostly from Italy), Fostoria American glassware, cow creamers, cloisonné, a gorgeous set of Venetian glasses, vintage bottles, kitchen collectibles, estate and costume jewelry, chess sets, English teapots, sterling silver souvenir spoons, Asian objects, kitchen collectibles, lovely amber girandoles and decorative items. Visit Click here to find out more..
Shannon’s Fine Art Auctioneers will celebrate its 20th anniversary on Thursday, October 26th, with an auction in their new gallery location at 49 Research Drive in Milford, Connecticut. 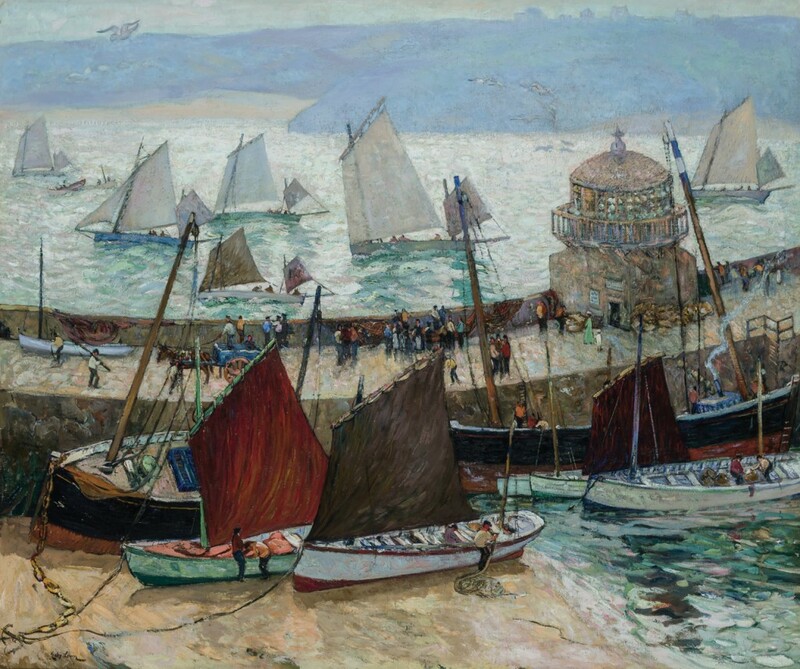 Shannon’s will offer nearly 300 lots of American and European paintings, sculptures, prints and drawings, including several fine paintings from a prominent collection in Michigan. 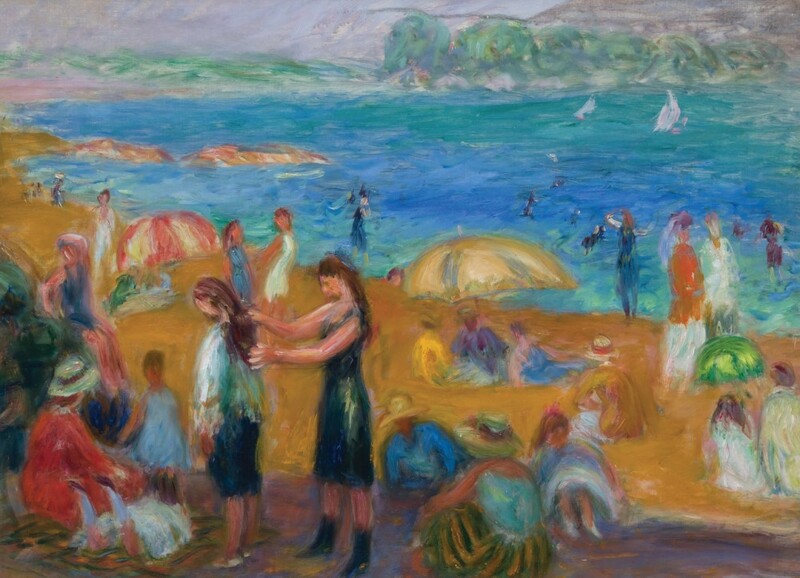 The works represent the best in American art, led by William Glackens’ The Bathers, with an estimate of $250,000-$350,000. 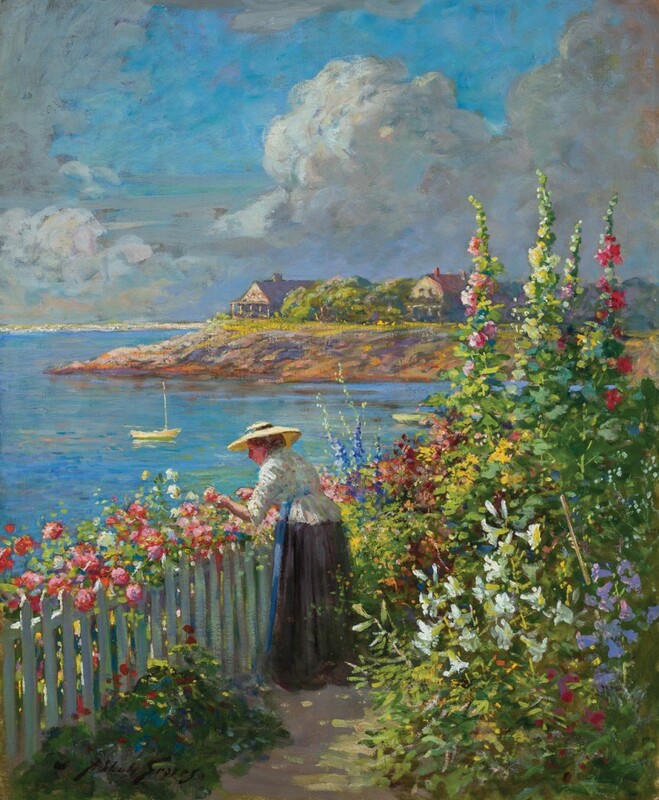 The cover lot, Abbot Fuller Graves’ In the Garden, is another superb painting from the collection (est. $100,000-$150,000). 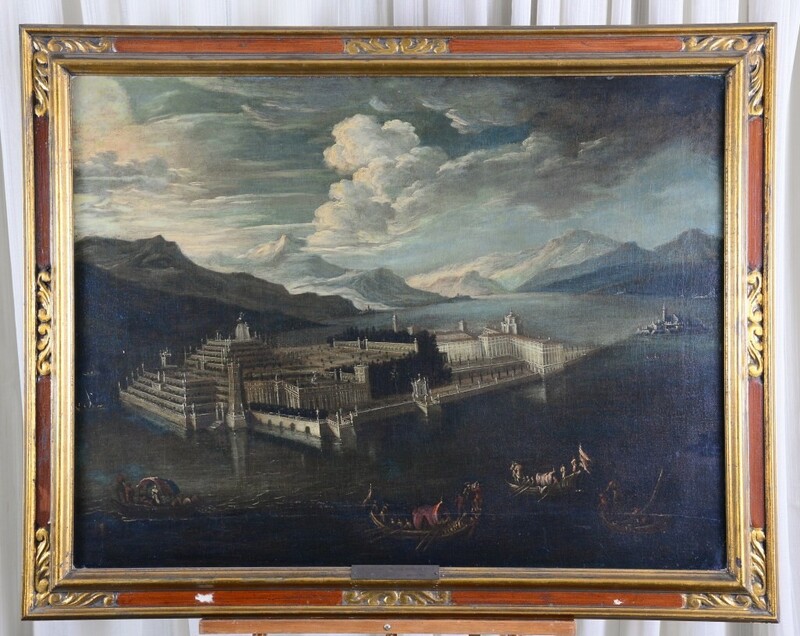 Also sold will be a rare Hudson River view by James Fairman (est. $70,000-$90,000); a large still-life work by William Mason Brown (est. $50,000-$75,000); a winter scene by Alfred Bricher (est. $60,000-$80,000); an impressionist work by Emil Carlsen (est. $50,000-$75,000); and a neoclassical panting by American muralist, Edwin H. Blashfield (est. $50,000-$75,000). There are two Norman Rockwell drawings with Christmas themes (est. $30,000-$50,000 each). Boy in a Santa Suit was a study for a 1957 Hallmark Christmas card, and Good Deeds was a study for a Dec. 1924 issue of the Saturday Evening Post. Notable contemporary offerings include a work on paper by Brazilian concrete artist Mauricio Nogueira Lima (est. $20,000-$30,000); and an oil painting by American abstract expressionist Bradley Walker Tomlin. The sale features a strong selection of contemporary prints by artists including Robert Rauschenberg, James Rosenquist, Ellsworth Kelly, Pierre Soulages and Alex Katz. Other contemporary artists include Ilya Bolotowsky, Jenny Holzer, Peter Tunney, Robert Cottingham, Mark Tansey and Ralph Fasanella. Click here to find out more. 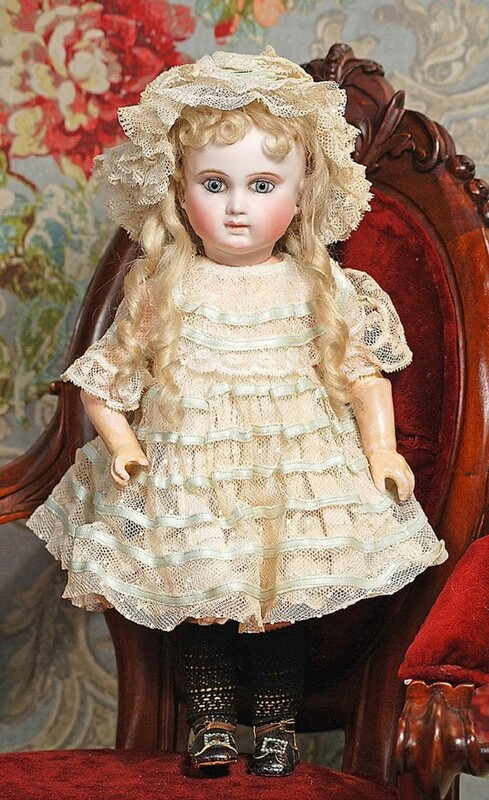 Frasher’s Doll Auctions will conduct a “Charm & Personality” cataloged auction on Sunday, October 29th, online and at the KCI Expo Center & Holiday Inn, near the airport in Kansas City, Missouri. 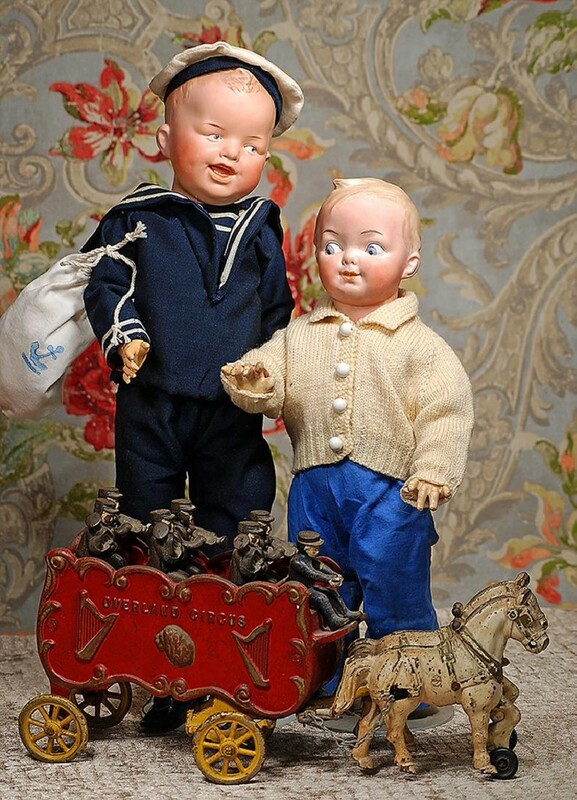 The 324-lot sale will feature French bebes, fashions, German bisque characters and googlies, all-bisque dolls, china, papier-mache and wax dolls, Door of Hope dolls, Schoenhut models, doll clothing and accessory items. A preview will be held on auction day at 9 am and the auction will begin at 10 am (both times Central). 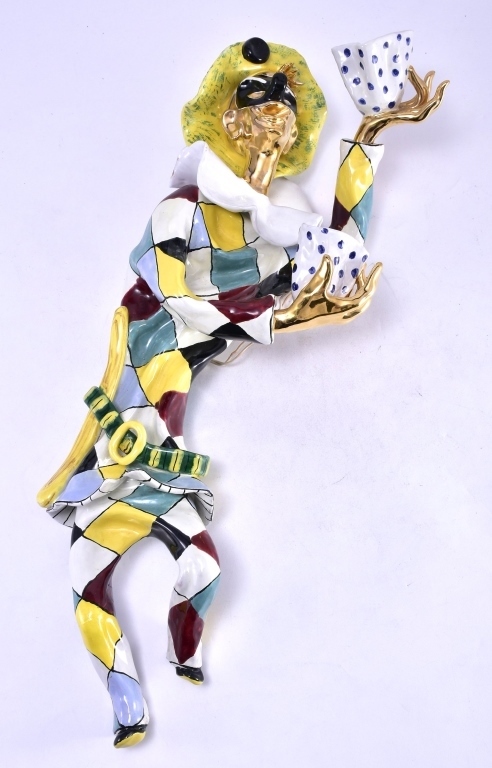 Folks can bid in person, by phone, by absentee bid and online, via LiveAuctioneers.com.